Summary: Extensive practical work including 19 years as engineer & project manager for energy projects, commissioning, etc. Licenses: Licensed Professional Engineer (PE) as Mechanical/Industrial Engineer (ME & IE degrees from NC State University). Certifications: Certified Energy Manager (CEM) & Certified Energy Auditor (CEA) via Association of Energy Engineers (AEE). Professional Affiliations: Association of Energy Engineers (AEE) NC Pres., Institute of Industrial Engineers (IIE) NC Vice Pres. Project Management: Skilled in project management techniques and software tools to achieve success (on time, in budget, etc.). Performance Contracting: Experienced in all aspects of multi-million dollar projects via multiple energy service companies (ESCOs). Economics: Lifecycle cost/benefit, economic analysis, time value of money, multi-attribute decision analysis, problem solving, etc. Commissioning (Cx): New building Cx & re/retro Cx projects for which facility improvements justified by energy savings. Energy Engineering: Saving energy in systems for HVAC, lighting, boilers, chillers, CHP, machines, motors, compressed air, etc. of facilities including medical (hospitals, clinics, etc. ), commercial, consumer, services, manufacturing, pharmaceutical, chemical, etc. saving energy and water via optimal technologies, energy-saving performance contracting (ESPC), etc. Quality: Six sigma quality black-belt, ISO 9000 leader/assessor, quality design & control (taught NCSU courses), etc. Lean: Lean manufacturing, lean office, lean-sigma, value stream mapping, cellular layout/flow, 6S, standard work, etc. Safety: Design of safety systems, job safety analysis, training, inspection, failure modes and effects analysis (FMEA), etc. Construction: OSHA certified in construction safety & health, Lean-6S for construction, building codes & standards, etc. Water: Saving/managing water by engineering water-saving systems for hot/cold water, cooling towers, drinking, washing, etc. by traveling from office at Tyndall Air Force Base in Panama City Beach, FL. extensive hands-on experience for technical excellence of delivery to ensure customer satisfaction. Note: These examples include new & re/retro Cx projects for which facility improvements are typically justified by energy savings. and for improving indoor environmental comfort and quality to increase occupant satisfaction. building automation systems, temperature controls, etc. smoke controls, exhaust fans, etc. for energy-saving performance contract (ESPC) to maximize energy savings. equipment grounding, IG receptacles, etc; Domestic and process water pumping/mixing; Plumbing; and Rainwater conservation system. improvements in buildings to resolve Cx issues identified in systems (mainly HVAC) and improve operations within buildings. results-oriented with extensive hands-on experience for technical excellence of delivery to ensure customer satisfaction. verification (M&V), energy commissioning (Cx), energy performance contracting, energy field engineering, water savings, etc. energy field engineer (1 of 4 in NC) for utility savings initiative (USI) program that saved $55.3 million in one fiscal year. energy analysis for consideration of renewable energy such as geothermal, solar thermal, photovoltaic, wind, etc. of information. Well balanced between variety of subjects, and details on each.� (from Raleigh class). US Dept. of Energy (DOE) reviewer/evaluator for 111 energy funding applications ( > $100 million ) for US companies. strategic energy+water plans, conducting energy surveys/audits, performing measurement & verification (M&V), etc. technicians, site supervisors in multiple industries such as manufacturing, pharmaceutical, chemical, and consumer industries. Practical energy project at PennTAP in York, PA for energy savings reported by client as $198,130. Energy workshop at ATN in Birmingham (attendees from 4 states AL, AR, LA, MS) reported energy savings of $245,000. Energy training & projects in Ocean Springs, MS at First American Plastics estimated $77,150 energy savings. Lean energy training (lean techniques applied for saving energy) at MEP in Orlando, FL. served as President & Vice President of AEE NC chapter (entire state of NC). Ergonomic handle design for hand saw, U. S. Patent #D395588 (applied 6/30/94, issued 6/30/98). for AEE�s southeast region (12 states & Puerto Rico). one of the highest honors that a faculty member can receive at NC State University." of the Institute of Industrial Engineers (IIE) technical society. from 14 countries at an IBM sponsored design-for-manufacturability conference. course evaluations completed by working professionals as attendees. in course evaluations completed by college students. Dr. Davis emphasizes teaching complex concepts in clear/understandable terms. attention and learning motivation of adult learners in short-courses and workshops. He takes pride in accomplishing effective teaching for all types of learners. Additionally, he provides opportunities for hands-on learning via projects at companies. of projects for energy, time/motion study, quality, facility layout, ergonomics, lean, etc. Note: Earned MS and PhD degrees via part-time studies while working full-time. Energy modeling/savings (LCC for energy $ lifecycle cost, eQUEST plus some DOE2, HAP, Trace, etc.). MS Project (project management), and Office (Word, Excel, PowerPoint, Access, etc.). 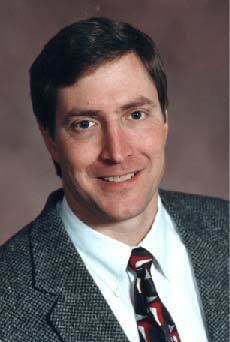 Dr. Davis has authored multiple publications for books and refereed journal articles. Additionally, he has made many presentations at international conferences. Cogeneration for Combined Heat and Power (CHP), Thermal Energy Storage (TES), Performance Contracting, etc. Saving/managing water by engineering for hot/cold water, cooling towers, drinking, washing, etc. PennTAP in York, PA for energy savings reported by client as $198,130. ATN in Birmingham (attendees from 4 states AL, AR, LA, MS) for energy savings $245,000. First American Plastics in Ocean Springs, MS achieved energy savings of $77,150. MEP National Conference in Orlando, FL and published in conference on-line proceedings. 2008-2016 presentations (energy savings, commissioning, etc.) at NC chapter meetings of technical societies (AEE, IIE, etc.). 2011-2012 presentations throughout NC trained 224 energy specialists on topics of energy auditing, performance contracting, etc.